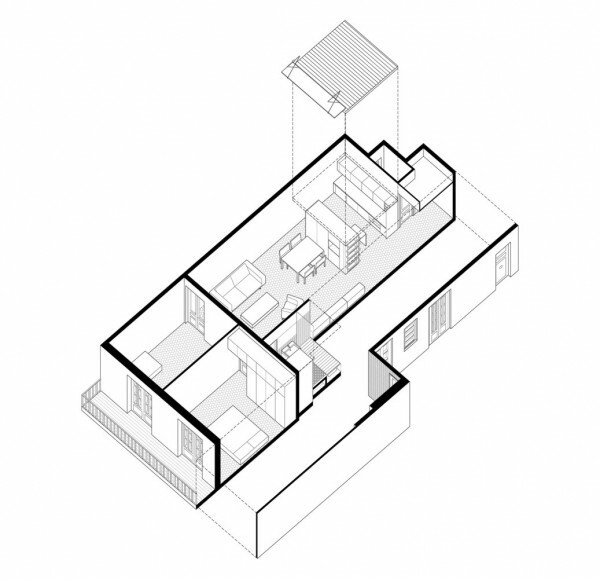 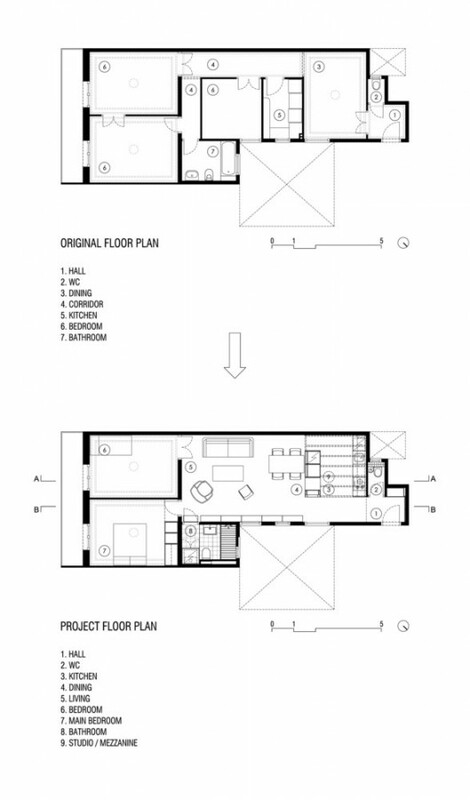 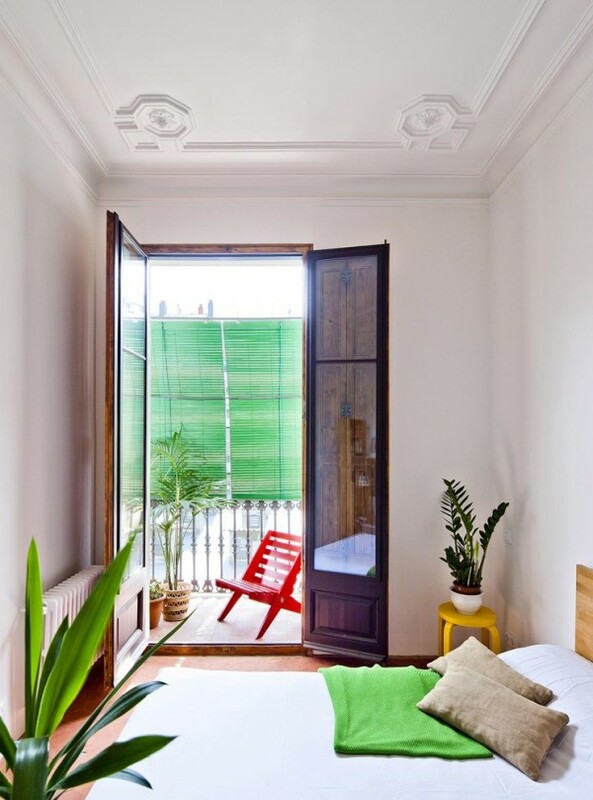 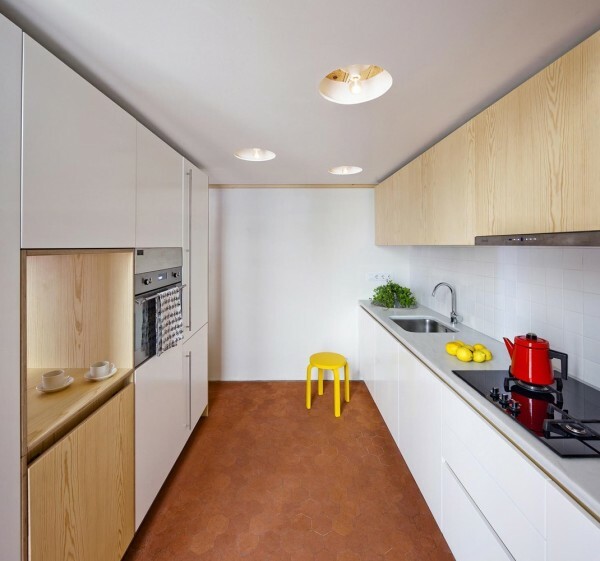 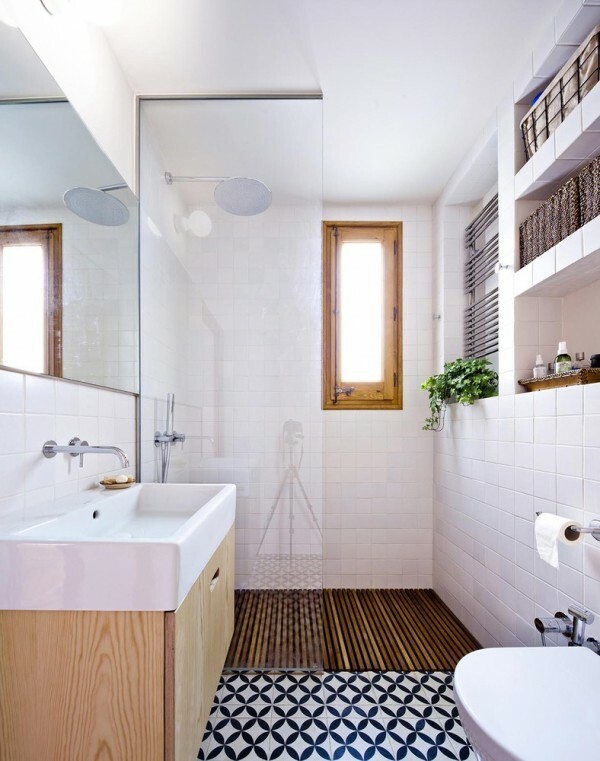 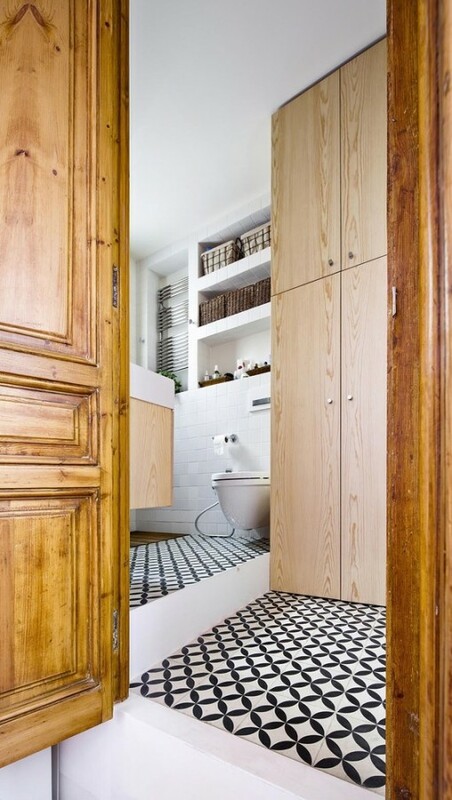 Bach Architects completed the redesign of a 753-square-foot apartment in the Eixample district of Barcelona, Spain. 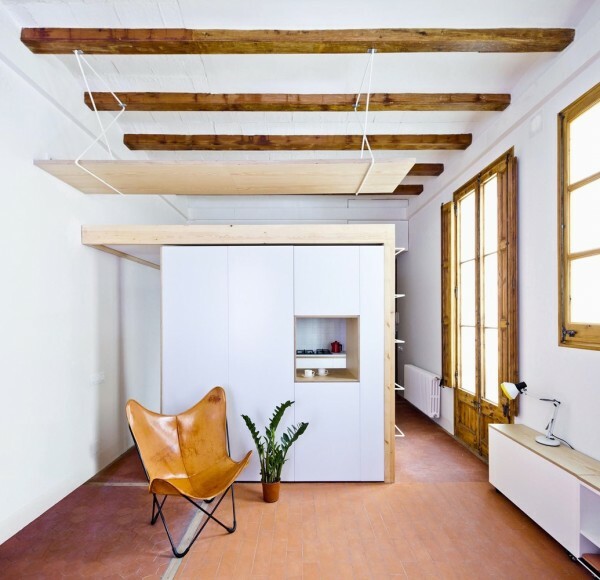 The project is located in a traditional early-20th-century building, and offers a surprising suspended table; more on that later. 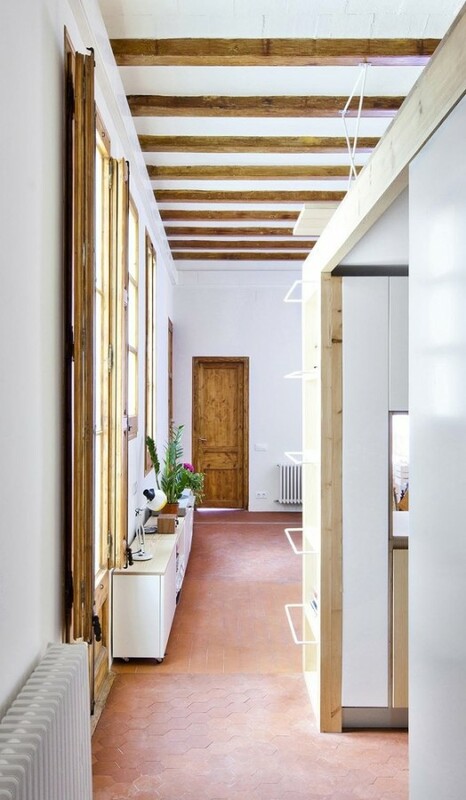 Exposed beams and wooden additions make the interiors of this small apartment warm and welcoming. 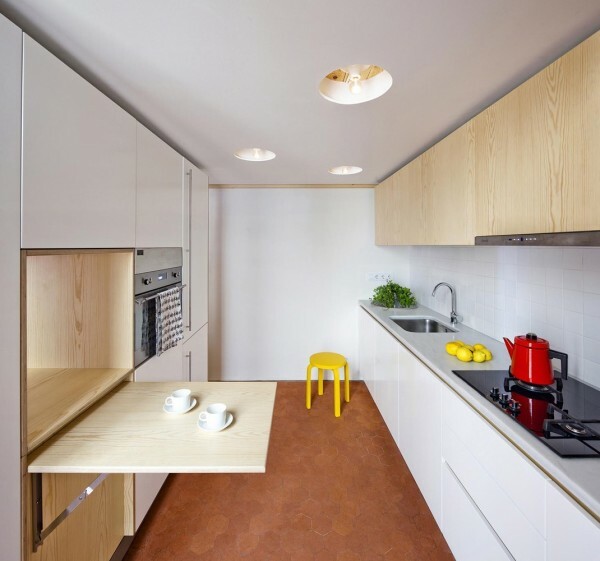 The focal point of the living area is a table suspended from the ceiling high off the floor. 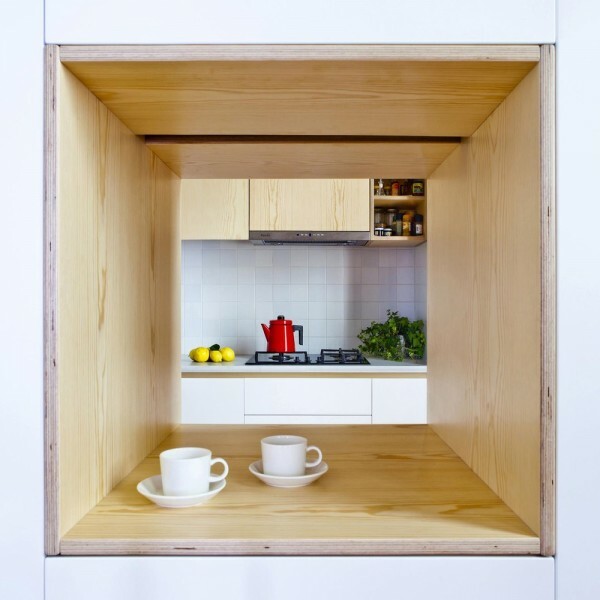 This surprising element can be used as a dining table or a desk by sitting on top of the kitchen volume.